The Metropolitan Police Department is splitting seven wards into 21 sectors with the goal of improving officer and community relations. D.C.’s seven police wards will be reorganized into 21 sectors, a strategy officials said should improve relations between officers and the community. The new sector model will divide each of the District’s existing patrol districts into three sectors to improve accountability and increase response time, Mayor Muriel Bowser and Interim Police Chief Peter Newsham said at a press conference earlier this month. 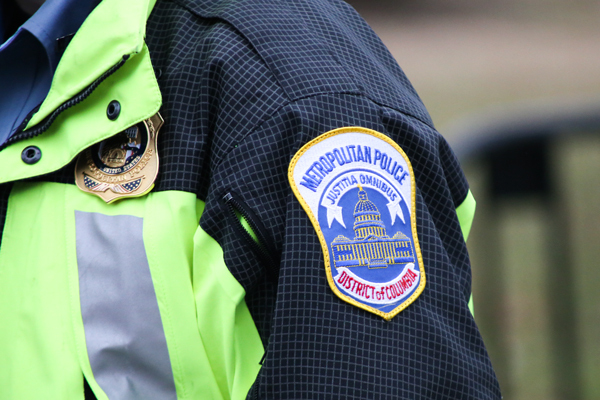 Foggy Bottom will now be managed by Captain David Sledge, according to MPD’s website, under sector three in the Second District – a change that allows for more officers to be patrolling the area at one time and for stronger officer connection with the community, experts say. Newsham said at the press conference that MPD will implement the model to prepare captains as future department leaders. Bowser said under the new system, which has been in development for more than a year, each sector will be made up of a group of existing police service areas – smaller patrol sections that will continue to be run by lieutenants. Captains will lead the sectors and report to district commanders. “When they have a management official who can help navigate some of the things that don’t involve direct policing, we know that we’ll get more direct interactions with community members, and that’s what it’s about,” Bowser said. While community members will continue to use their local lieutenants as points of contact, there will now be an additional captain in each sector for community members to contact, according to MPD’s website. MPD spokeswoman Aquita Brown said captains were chosen to lead the sectors based on their previous experiences in their PSAs. “This model brings additional management accountability to districts and allows for faster dispatch, lower response times and improved service to the community,” Brown said. She added that the department will not pay additional money for the reorganization. Brown declined to say if the sector model was created in line with the customized community policing philosophy – a modern take on community policing to connect officers and residents – used by the department. The policy implemented programs like public safety seminars and youth mentoring for the community. Second District Commander Melvin Gresham referred to MPD’s public information office, which declined to comment on whether and how relations between Foggy Bottom residents and officers would improve. Nearly two years after the death of Freddie Gray, the Baltimore Police Department will also implement a new policing strategy partly to improve relationships between police and community members, U.S. Attorney General Loretta Lynch told ABC News earlier this month. Russell Mullins, the executive steward of D.C. Police Union, said the sector program will not affect the department much but will make officers more visible. With additional roll calls – or time spent preparing officers to go out on the streets – more officers will be interacting with the community. Police experts have said the department needs a new chief to improve officer-community relations, especially after an increased number of shootings of black men by officers across the nation and in D.C. MPD has also faced a decline in officers over the past couple of years, with a loss of 415 officers and a hire of 281 officers in fiscal year 2015, according to the most recent MPD annual report. Curtis Cope, a police practices consultant at Curtis J. Cope Consulting, said that although every community is different, officers will have more insight into a neighborhood’s issues when they oversee small areas. This article appeared in the January 23, 2017 issue of the Hatchet.